ARCS Foundation Honolulu Chapter’s 2017 Scientist of the Year Richard Yanagihara will discuss Hantaviruses: A Personal Journey of Discovery and New Begninnings at a free pauhana talk beginning at 5:30 p.m. on Thursday, September 14, 2017 in the Agricultural Sciences Building on the UH Manoa campus. 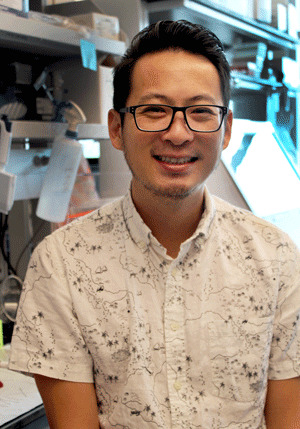 Glen M. Chew’s research has identified a way to “release the brakes” and reverse defects in viral-specific immune cells that keep them from killing HIV-infected cells. Chew received the Honolulu Chapter’s 2016 Koenig Award in Medicine.